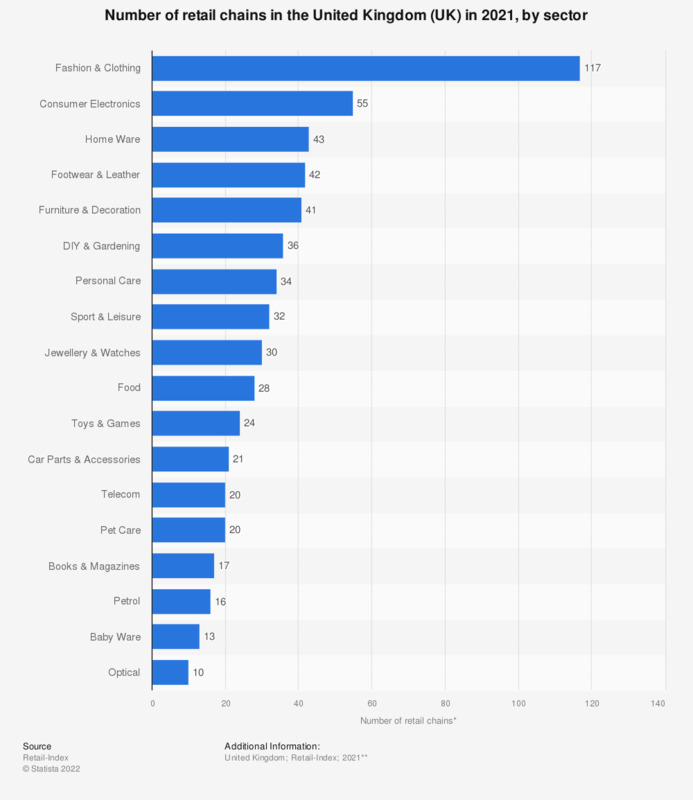 This statistic portrays the number of retail chains by sector in United Kingdom (UK) in the year 2018. Fashion and clothing was the leading sector, with 126 chains out of the total of 412, followed by consumer electronics, with 61 retail chains. Home ware was ranked third, standing at 44 chains, while the baby ware and optical sectors showed the smallest amount, with fourteen and eleven retail chains, respectively.